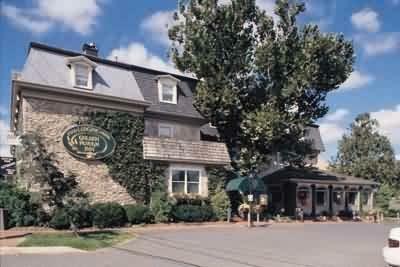 Peddler s Village Bucks County s premier shopping dining lodging meeting and entertainment destination is an 18th century style attraction. We feature over 70 quality specialty shops six restaurants a 71 room luxury Inn year round festivals and craft competitions plus and antique operating carousel set amidst 42 acres of beautifully landscaped gardens and winding brick pathways. A sought after spot for family day trips romantic getaways corporate meetings social functions picnics and memorable visits.Complimentary Continental Breakfast coffee Tea and Champagne upon arrival. Free outdoor parking. All reservations require a valid credit card with expiry date at time of booking. All reservations must be cancelled 2 days prior to arrival to avoid a one night no show charge. Open 7 days Lunch -11AM -3PM Dinner -4PM -9PM The atmosphere bustles at this cozy restaurant a family favorite for the classic American cuisine. An eclectic collection of folk art contributes to the bright appeal of the dining room. Open 7 days All-Day Dining 11AM -10PM The perfect place for heartwarming libations and stimulating conversations. Features a menu of class pub favorites. Open 7 days All-Day Dining 11AM -10PM The finest gastropub in Bucks County. The perfect stop for a quick bite with a large outdoor patio and fully equipped bar. The vast menu provides a variety of delicious choices, but our signature is the Best of Best County Award Winning Burger. Doylestown Hospitals is comprised of more than 380 physicians in 42 specialty areas. Each physician undergoes a rigorous credentialing process and must be board-eligible or hold and maintain appropriate board certification in their specialty. The James A. Michener Art Museum is a museum located in Doylestown Bucks County Pennsylvania in the United States. Founded in 1988 and named for Pulitzer-Prize winning writer James A. Michener. Share in the spirit of imagination with your kids at Sesame Place - where you can experience Sesame Street together through whirling rides water slides colorful shows and furry friends. Anchoring departments stores include Macys Boscovs JCPenny and Sears.T.G.I. Fridays Restaurant. Anchor stores include Bloomingdales Macys Sears and Boscovs.Cheesecake Facotory Ruby Tuesday restaurants. Over 90 retail stores and an extensive food court. The Lindbergh baby-murder exhibit is a highlight among displays about the state's highway patrol.